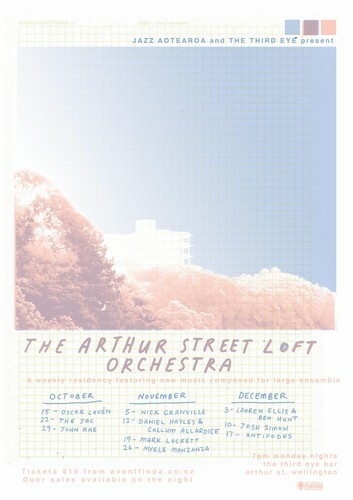 Arthur Street Loft Orchestra: WJF Special may be the upcoming event you’re looking for. Each week we present the music of a different composer (or composers) performed by an eclectic array of large ensembles. From introspective 10-piece chamber groups, to full throated 17-piece big bands, to 20+ piece jazz orchestras with strings, The Arthur Street Loft Orchestra is a unique and dynamic series of concerts, and the only thing to be doing on a Monday night in Wellington. Tickets are $10 (unwaged) or $20 on the door or $15 via pre-sales.